MSP-Signs.co.uk produce great quality Roll up Displays, Exhibition banners, Pop up systems and all accessories for a great, professional presentation. 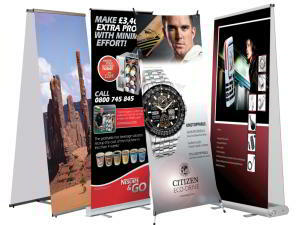 We offer 15 different roll up systems. Each of them offers various sizes to make sure you get what you are looking for. Roll up systems are great for quick and easy advertising with professional look. Our roll up banners are printed and finished in the best possible quality for outdoor and indoor use. Please note! 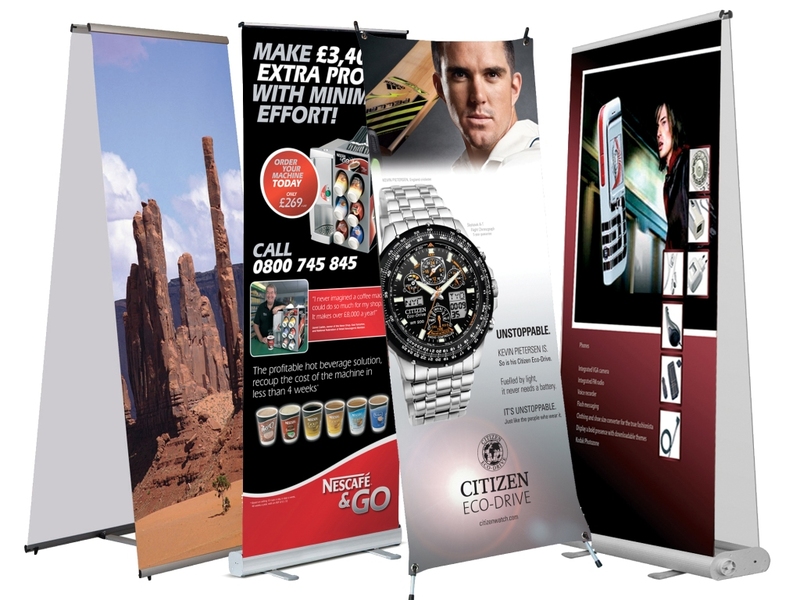 If you would like to order more Roll up systems or banner stands then three, please contact us on sales@msp-signs.co.uk or call us on 0845 116 2548 to get a better deal.